I started out Day 4 at 8am the Bovine Theater for an Improv Workshop for Developers and this sounds like the epitome of “ugh, really?” because it’s improv at 8am… for developers. It sounds like a cringy setup for a sitcom episode. But it was SO GREAT! It was hosted by 2 people whose names I forgot but the woman in charge makes her living by doing improv poetry which instantly made her one of my heroes because anyone who can make a living by doing something that is creative and fulfilling to them is a hero of mine. My favorite takeaway from this session is the importance of respecting the existence of imaginary objects both in improv and in writing code. An improv scene falls apart when one person pretends there’s a table in the middle of the stage only to have another actor ignore the existence of that table. The same is true for code. If a developer defines an object and other developers do not use that object in ways that respect the original definition, the code is clunky and difficult to follow. Now since this was my first Denver Startup Week, Monday was overwhelming and Tuesday and Wednesday were packed to the gills with panels so I decided to take it slow on Day 4. I took it so slow… (How slow?!) I took it so slow I only went to 2 panels. However I got to continue to wonder at all the positive changes to downtown Denver. I took some time to check out the trendy Milk Market for lunch which was very overwhelming and even stopped to check out an art gallery. Don't just be inspired by business leaders and tech experts. Found this at the Robischon Gallery on Wazee while on my way to a #DENStartupWeek panel. Very cool! It is very important that inspiration is accepted from all sorts of places because inspiration is a funny thing and strikes at odd moments and affects you in unexpected ways. This is why many of the hardest programming problems are often solved while on a walk or in the shower or looking at art so I make a point to enjoy art both for just the pure enjoyment of it and for the inspiration it may provide. This installation was at the Robischon Gallery on Wazee Street in downtown Denver. The art has changed since Denver Startup Week but you should still check it out. After taking my time and checking out a few sights I was allowed to hang out in the CTRL Collective co-working space before my last panel of Denver Startup Week which was about the stress of a startup. Since I now work at a startup, I thought this would be a great way to talk with other startup employees about the stresses of the industry. I was wrong. Instead it was a panel of startup founders talking about dealing with stress from the point of view of a founder which was still good to hear about. Since I have a bit of an entrepreneurial streak in me this was absolutely worth my time. One of my favorite takeaways from this panel was from Finn Kelly when talking about imposter syndrome which is as prevalent among entrepreneurs as it is among software developers. Imposter Syndrome is when you feel like you don’t belong in the industry or position that you want to be in because you feel like everyone else must know more than you. You feel like someone is going to unmask you as an imposter. Kelly’s advise was that any time he feels that feeling he asks “Have I done something inauthentic to get here?” and if the answer is “No.” then he is not an impostor! It’s simple but I love it! I also added a bunch of books to my “To-Read” list on GoodReads thanks to this panel. A lot of thinking about thinking goes into being a successful startup founder. 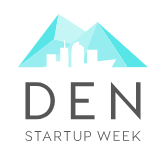 That was it for my 2018 Denver Startup Week. I bailed on Day 5 because my wife was off work that day and I’m mostly introverted so, after spending 4 days talking and listening to many people, I was ready to recharge. I hope I helped give some insight into a good Denver Startup Week experience and I look forward doing it again next year! – When doing improv, you place pretend objects on a stage. When writing code, you place pretend objects in code. There's no difference. Day 2 started with at stop at the CapitalOne Cafe for a panel only for me to realize after getting some tasty coffee and danishes that I was at the wrong panel so when I finally got to the panel that I wanted to be at, it was packed the panelists didn’t have any microphones so it was difficult to hear them. On the plus side I did get to talk with one of my favorite people, Bryan Griess with FusionAuth, so that worked out! It was neat being at an event that was good for networking without wanting to get a new job, but I went to a talk about getting your first junior developer job anyway and I realized that, despite the good intentions of such a talk, a talk about how others got our first development job is not that useful. I appreciate the intent and I’ll give advice to anyone who maybe asks for it but it just didn’t seem that useful. We all have our own paths and own strengths and weaknesses and as much as I hate hearing “It depends…” from any sort of panelist, the hardest part about getting into the tech industry is just getting your foot in the door and the only advice I’m willing to give unsolicited is to keep trying, be honest and listen to answers when you ask advice. I’m going to again divert myself from ranting about practicing. As with getting your first tech job, most business advice is an opinion. There’s very few facts in business advice because there’s so much room to cover. However one of the comforting things about technology is that, like math, there are more facts than there are in business advice so I was happy there was a technical panel in the middle(ish) of the week. It was a talk about React Performance with Jeff Carbonella from Gusto. My company decided to go with React for one of our new apps and we’re looking to get all of our apps using React. Since I just recently watched most of a Pluralsight tutorial on React and I’ve modified a component that’s in production code I wanted to see what I could understand and learn and liked what I found out at the panel. It turns out all of your React performance problems can be solved by using pure components! Ok, I’m kidding but Jeff did show a bit of how cool pure components can be and I appreciate it. After that I made my way to the swanky Slalom offices right between Union Station and Coors Field and I once again marvelled at the amount of fancy new buildings there are in the area. This time I went to learn about common tools from Matthew Boeckman and learned, quite unexpectedly, about the art of flint knapping which has nothing directly related to computer technology but still pretty damn cool and useful. Matt said that good tools should be accessible, ubiquitous, empowering and flexible and it doesn’t matter if we’re talking about tech tools today or stone tools a millenia ago which makes a bunch of sense. He also made a great point about the myth of separate responsibilities in pre-agricultural societies. There’s the myth that men were hunters and women were gatherers and that there was a split in these responsibilities that couldn’t be true because when you’re trying to survive you do what needs to be done regardless of your title. “If you’re a gatherer and you see a rabbit, you hunt. 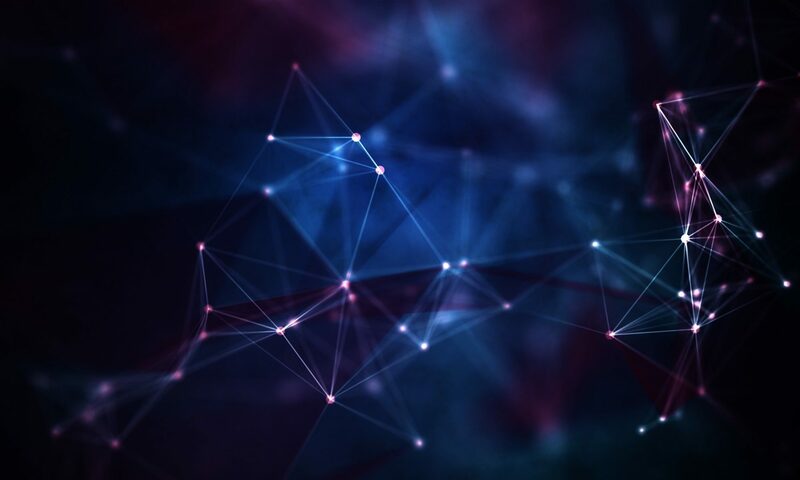 If you’re a hunter and you see berries, you gather.” This theory works just as well for pre-agricultural societies trying to survive and for modern tech startups! If you notice something that needs to be done there’s a good chance you’re the person who needs to make it happen. To bring this completely back into tech, one reference he mentioned is the Google Site Reliability Engineering which sounds like a resource more people should know about, especially since it’s free! You’d think I’d be done after all this, but nope. There was still one more panel and it was the biggest panel of the day! The Developer Track Keynote was a panel of 4 smart people who are in charge of lots of smart people at their well respected companies. 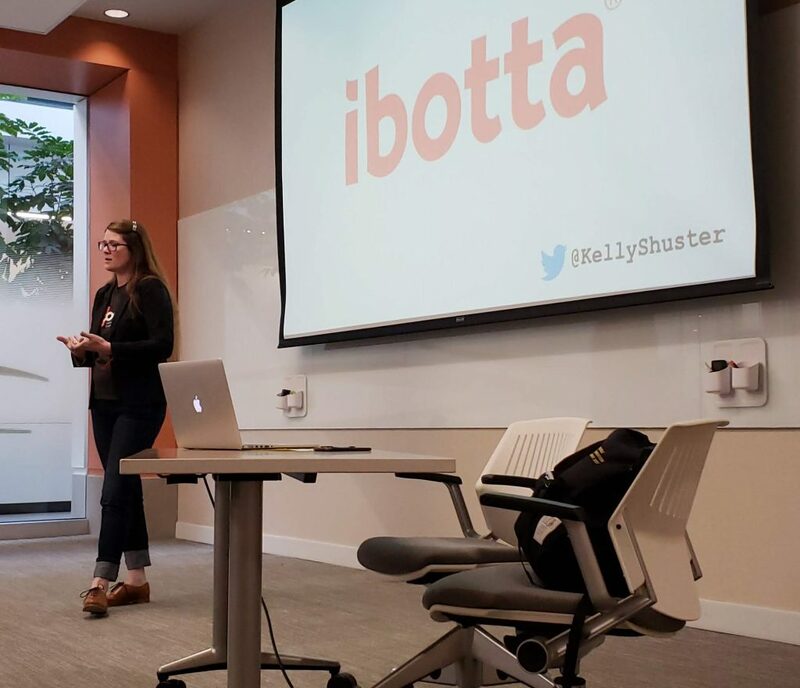 It was moderated by Kelly Shuster who is also a smart people in charge of other smart people at Ibotta. 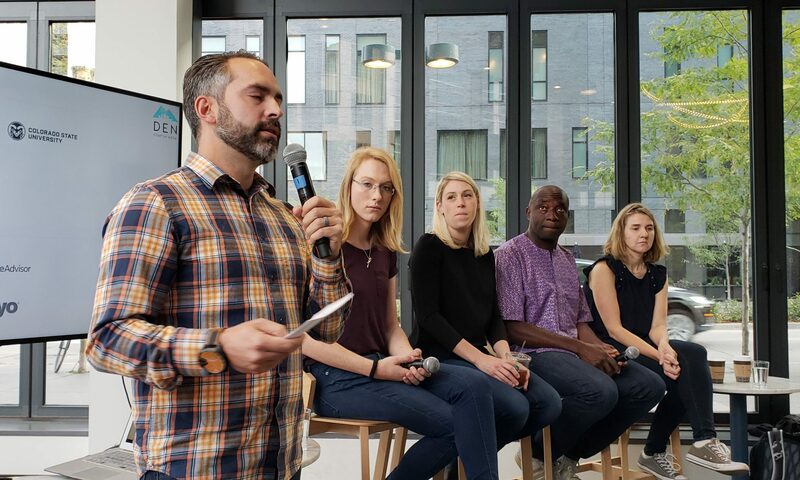 The theme of the panel was “Why Colorado?” and their answers mostly boiled down to our inclusive startup and tech culture and the Colorado lifestyle that shows that work is not our number one priority. It made me feel super proud to hear this because I’m proud of what we have in Colorado and it’s nice to see that being recognized from people. Micheal Lopp, the smart guy in charge of smart people at Slack said one of their mottos is “Work hard and go home” which I love! I also find it funny that, of all companies, this motto belongs to Slack because my company’s use of Slack makes it the most difficult for me to leave work when I leave work. That’s it for Day 2, next week I’ll post my review about day 3! Colorado, and Denver specifically, is growing by leaps and bounds. One of the things that makes me proud about our tech and startup community is the inclusion that we practice and it was great to see that attitude explicitly called out during the opening keynote and supported by the actions of other participants and by the panel on Thursday. Because my fear is that we will move away from that attitude as we grow so it’s great to see that attitude reinforced during the biggest free startup conference in the world. 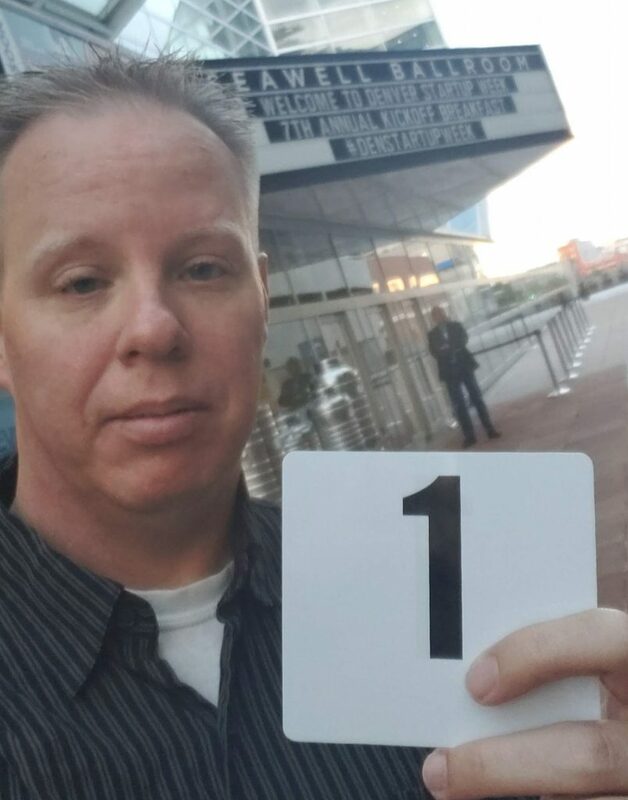 Day 1 was quickly overwhelming. It started out with a special kick-off breakfast which, I learned after I got there, required a special registration that I didn’t do. It was the worst thing to happen to me all week. I’m not being over dramatic about it though. The rest of the week was so good that the worst thing to happen to me was missing out on some breakfast on Day 1. I’ll take a week like that any day…er… week. The key-note involved some laser lights (Is that saying the same thing twice), a super enthusiastic and well liked member of the Colorado tech community, Erik Mitisek who is the Chief Innovation Officer for the State of Colorado, a proud and inspiring Pattie Money who is the Chief People Officer of Sendgrid (Now a part of Twilio!! ), a failed crowd selfie by Denver Mayor Hancock, motivation from Meow Wolf CEO Vince Kadlubek who explained why he wanted Denver to be the first place for Meow Wolf to expand out of Santa Fe, entrepreneurial determination from Daniella Yacobovsky of BaubleBar and… oh yeah, Steve Case who is best known for his part in starting a little company called America Online. It’s pretty cool that a major name in tech is not the highlight of a keynote. Mitisek pointed out that generosity is part of our brand here in Colorado. Money pointed out that it’s not just if you grow, but how you grow that is important and Kadlubek pointed out that it’s great to ask “What are you willing to live for?” when gauging your pursuits and stressed the importance of creative people and endeavors in the business world. 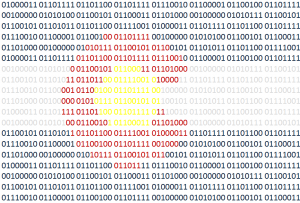 I heard the same pride and concerns with the Colorado technology community that I have from Mitisek, Money and Kadlubek which made me feel pretty darn smart, a little smug, and ok with missing out on breakfast. After the keynote I headed over to the Commons on Champa where the Chase Bank Basecamp was set up. I was almost instantly overwhelmed so I decided to plug in and do some work on a side project. After a few minutes of pointless clicking on my laptop I realized I wasn’t going to get any work done on my computer so I decided since I was at a great event for networking, I should go network! I got to meet Chris Martinez who was representing the Veterans in Residence program and I was super excited to finally meet Tamara Chuang after reading her articles from the Denver Post for so long (she’s now a member of the Colorado Sun) but missed out on my chance of talking to Lizelle Van Vuren. Lizelle doesn’t sit still very much so it’s hard to catch up to her once you miss your chance to see her. However I did catch up to Name.com’s Jared Ewy and got to spend some time with him in a big, awkward inflatable blue bowl which sounds like a result from a Mad Lib, but it’s true! Oh! 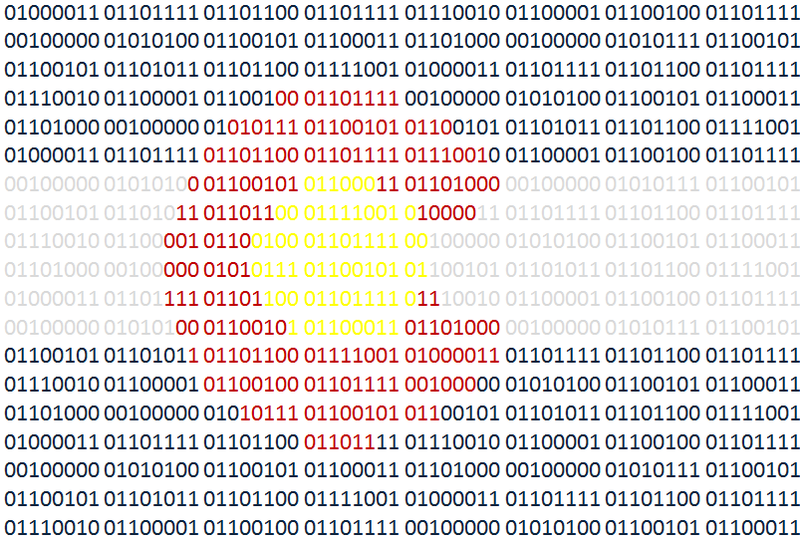 How much fun would it be to do a Colorado tech/startup MadLib? That sounds like a lot of fun but I’m getting off topic now. The first panel I went to was at the CA Technologies office which is right above the Lodo Tattered Cover and if I would’ve known that before hand I might have just hidden away there for a while. It was a one man panel by Scott Tolinski on how to learn quickly in a rapidly changing development world. Aside from having an excellent first name, Scott was great at giving expert opinions with humility and gifs. He does a podcast called syntax.fm about web development that I forgot he mentioned until I started writing this post and I look forward to hearing more from him. The next talk I went to was at Industry in RiNo. This was my first time taking the A line on the Light Rail from Union Station and the amount of changes I saw in that area blew my mind. The last time I was in that area, the idea of “RiNo” was still a new idea. What was seedy industrial buildings known best for being downwind of the Stock Show every year is now fancy apartments, buildings, restaurants, bars, etc. I was floored! The panel was about the UX design process and as much as I love writing code and learning about the ones and zeros and languages and frameworks I am also fascinated with why people use computers and how they want to use them which is what UX design is all about! The talk was by Ari Weissman of Crownpeak and I really liked his points that if you don’t talk to users, your “UX Design” is just design and that if you ask users what they want, you’ll end up with the Homer Car which no one really wants. It’s better to ask people what they’re trying to do and why they want things then just asking them what features they want. He also mentioned that if you can’t come up with a good idea unless you come up with a lot of ideas which makes me want to jump on the soapbox of practicing which I will not do now. That wraps up my Day 1. I didn’t go to any of the night time events because my family still likes me and I want to keep it that way. Also, as an introvert, I wasn’t excited to spend more time talking to fun people after spending all day talking to fun people. Next week I’ll post my review of Day 2 which was even more jam packed than Day 1! 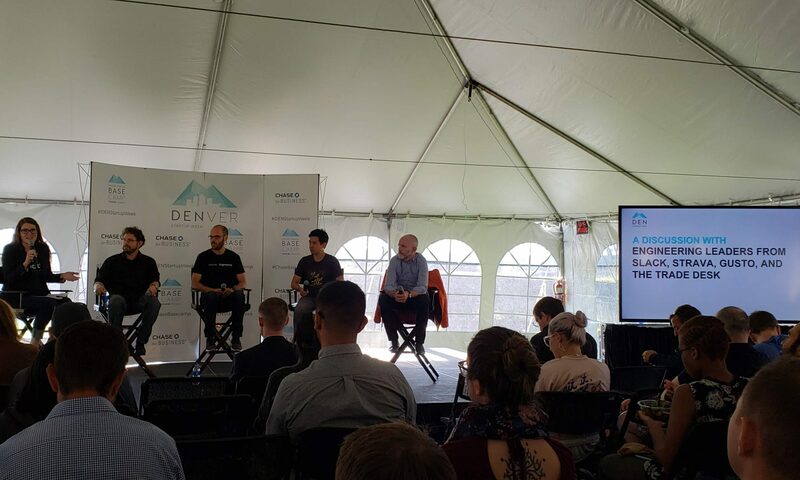 On my way to #DENStartupWeek Day 2 so let's go over lessons from Day 1. -Don't try to do code-work cuz you're there to network. – everyone really is this nice.